Summertime is upon us. Who isn’t craving a bit of fun in the sun? Wouldn’t it be amazing to plan an island escape with a group of family & friends? Well, here at Coco Plum Island Resort, flip flops, sunscreen, a swimsuit or two plus a handful of close friends are just a few of the essentials needed to enjoy a warm summer day. With as little as ten people travelling together to Coco Plum, your group can take advantage of our Belize group vacation deals. A group vacation at Coco Plum with your closets friends and family is a great way to enjoy all that we have to offer. Create memories of a lifetime as your entire crew enjoys the privacy and comfort of our 16-acre Belize private island. 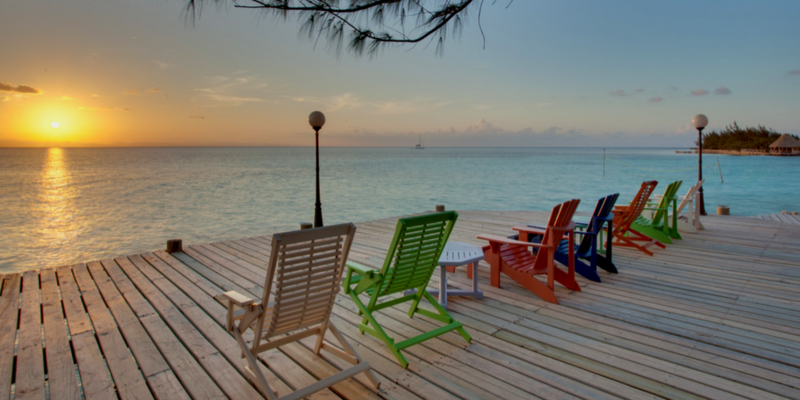 With only 18 standalone oceanfront accommodations, an overwater restaurant & bar, and exciting tours, Coco Plum is an ideal group vacation destination! Whether it’s a dream wedding, couples getaway, or special event, group vacations are made easy with Coco Plum’s special Group Rate Discount. And now, our end of summer 10% off special allows groups to get even more bang for their buck! Once you’ve got your group together and are ready to book the vacation of a lifetime, the booking process is easy. Simply choose a group name to use as your code (for each reservation?) – this way our reservations office knows to apply your discount. Then, guests can choose any of our many Belize all inclusive packages – so there is no obligation for the entire group to do the same package. For those in your group who just want to sunbathe, swim, and relax with a cool drink in our comfortable beach beds, they can take advantage of our Just Chilin’ package. Our All Inclusive, Fishing, and Diving packages are all great choices for those who are seeking a more customized adventure during their stay. And of course, our Honeymoon/Lovers’ Getaway package is perfect for those couples who are coming to rekindle their flame, with a little adventure on the side. What’s even better is that we have customized our current Summer Lovin’ Special for our group vacationers! For new group vacations (of 5 couples/cabanas or more), each couple or cabana can get a 15% discount on their reservation! Our Summer Lovin’ Special surely is all love! So hurry to gather your friends and family members to take advantage of this knock out deal, which is valid for all new reservations for August and September stays. Email us directly at contact@cocoplumcay.com and let us help you plan your private island getaway!